This document outlines our office policies related to use of Social Media. Please read it to understand how Brave Minds Psychological Services conducts our business on the Internet as mental health professionals and how you can expect us to respond to various interactions that may occur between us on the Internet. Therapists at Brave Minds Psychological Services do not accept friend or contact requests from current or former clients on any social networking site (Facebook, LinkedIn, etc). Brave Minds Psychological Services believe that adding clients as friends or contacts on these sites can compromise your confidentiality and your respective privacy. It may also blur the boundaries of our therapeutic relationship. If you have questions about this, please bring them up when we meet and we can talk more about it. Brave Minds Psychological Services keeps a Facebook Page for our professional practice to allow people to share our blog posts and practice updates with other Facebook users. There is no expectation of clients to “like” or “follow” our page. If you need to contact your therapist between sessions, the best way to do so is by phone. Direct email is second best for quick, administrative issues such as changing appointment times. See the email section below for more information regarding email interactions. 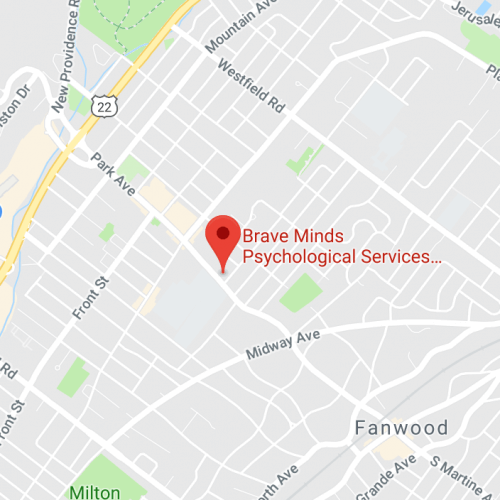 You may find Brave Minds Psychological Services on sites such as Yelp, Healthgrades, Yahoo Local, Bing, or other places which list businesses. Some of these sites include forums in which users rate their providers and add reviews. Many of these sites comb search engines for business listings and automatically add listings regardless of whether the business has added itself to the site. If you should find our listing on any of these sites, please know that our listing is NOT a request for a testimonial, rating, or endorsement from you as our client. Of course, you have a right to express yourself on any site you wish. But due to confidentiality, Brave Minds Psychological Services cannot respond to any review on any of these sites whether it is positive or negative. Brave Minds Psychological Services urges you to take your own privacy as seriously as our therapist take our commitment of confidentiality to you. You should also be aware that if you are using these sites to communicate indirectly with us about your feelings about our work, there is a good possibility that our therapists may never see it. If you are working together with one of our therapists, we hope that you will bring your feelings and reactions to our work directly into the therapy process. This can be an important part of therapy, even if you decide we are not a good fit. None of this is meant to keep you from sharing that you are in therapy wherever and with whomever you like. Confidentiality means that our therapists cannot tell people that you are our client and our Ethics Code prohibits Brave Minds Psychological Services from requesting testimonials. But you are more than welcome to tell anyone you wish about your therapist or how you feel about the treatment you are receiving from Brave Minds Psychological Service, in any forum of your choosing. If you do choose to write something on a business review site, Brave Minds Psychological Services hopes you will keep in mind that you may be sharing personally revealing information in a public forum. Brave Minds Psychological Services urges you to create a pseudonym that is not linked to your regular email address or friend networks for your own privacy and protection. If you used location-based services on your mobile phone, you may wish to be aware of the privacy issues related to using these services. Brave Minds Psychological Services does not purposely place our practice as a check-in location on various sites such as Twitter, Facebook, Instagram, Snapchat, ect. However, if you have GPS tracking enabled on your device, it is possible that others may surmise that you are a therapy client due to regular check-ins at our office on a weekly basis. Please be aware of this risk if you are intentionally “checking in,” from our office or if you have a passive LBS app enabled on your phone. Our therapists prefer using email only to arrange or modify appointments. Please do not email our therapists content related to your therapy sessions, as unencrypted email is not completely secure or confidential. If you choose to communicate with us by email, be aware that all emails are retained in the logs of your and our Internet service providers. While it is unlikely that someone will be looking at these logs, they are, in theory, available to be read by the system administrator(s) of the Internet service provider. You should also know that any emails Brave Minds Psychological Services receives from you and any responses that Brave Minds Psychological Services sends to you become a part of your legal record. Thank you for taking the time to review our Social Media Policy. If you have questions or concerns about any of these policies and procedures or regarding our potential interactions on the Internet, do bring them to our attention so that you and your clinician can discuss them.